Ekwueme Michael Thelwell is a visiting professor of Africana studies at Brown University. 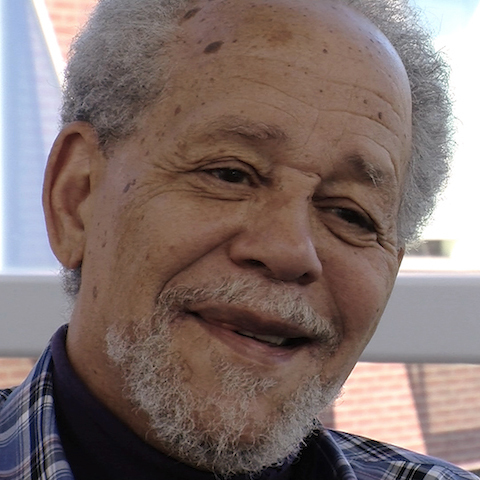 He was the founding chairman of the Department of Afro-American Studies at the University of Massachusetts Amherst and recently retired as a member of the faculty in 2009 as a professor of literature and writing. The Jamaican born writer, activist, educator, and intellectual received his early education at Jamaica College. He attended Howard University and went on to do his graduate work at the University of Massachusetts Amherst. Professor Thelwell was active in the Black Freedom Movement, participating in the Student Non-Violent Coordinating Committee (SNCC) and the Mississippi Freedom Democratic Party (MFDP). Professor Thelwell’s anti-apartheid activism in the 1980s resulted in successful legislation enacting a law against corporate tax write-offs for U.S. based corporations paying taxes to the apartheid regime in South Africa. He considers this law his most effective and consequential political achievement. In addition to his political achievements, Professor Thelwell was also a senior advisor for the television series, Eyes on the Prize. As a writer of fiction as well as of influential essays, Professor Thelwell’s work has been published nationally and internationally. Thelwell’s works include Ready for Revolution: The Life and Struggles of Stokely Carmichael(Scribner, 2003). How successful was the civil rights movement? How integrated is American society today? Why was SNCC an effective organization? What was the Mississippi Summer Project of 1964? What did you discover about local communities in the Mississippi Delta?